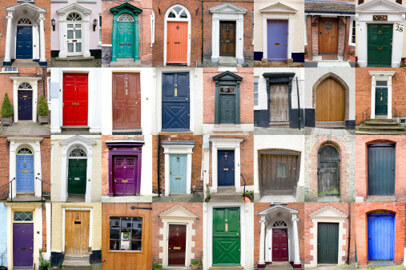 What does the front door of your house look like? When I was looking at houses to purchase with a professional realtor a few years ago, the realtor was always looking at the front door to see how nice it was. She said, “The front door can tell you a lot about the entire house.” We actually walked away from one house because there were spider webs on the front door and the paint was peeling. Are there spider webs and peeled paint on the home page of your website? Your home page is usually the first impression visitors get of your website and your business. If they don’t like the front door, they’ll be out the back door in a flash. Translation: they will hit the back button on their browser. So what are the keys to making the home page of your website appeal to the visitors and make them want to come inside?Here are a few important points to consider in designing your home page. One of the most common problems I see in home page design is something I call “Home Page Stuffing.” Sorry if I’m making you crave Thanksgiving dinner but I’m not talking about that kind of stuffing. I’m talking about putting EVERYTHING on your home page because you’re worried that if you don’t, people won’t see it. This would be like putting your living room furniture on your front porch. Don’t worry – people will come inside. Anything beyond the items above is probably home page stuffing and will overwhelm your visitors. Don’t forget, your visitors have a mouse with a button. They are on the internet and planning on clicking links. As long as you follow some of the principles below, you don’t need to worry about your visitors finding what they are looking for on your site. Your navigation should be easy to find, simple to read, and clear in its description. Most of your website visitors will look for navigation at the top or left side of the website so that’s the best place to put it. Tiered navigation is your friend. And by that I mean using sub-menus. I’ve seen website owners put 15 links on their main navigation. A better choice would be to use drop down menus. People love drop down menus because it adds an ounce of interactivity to your site. It also creates an organized look and reduces clutter. Help people find what they are looking for by using sub-menus if you have more than 5-6 links. We walked away from the house with my realtor because the front door was unappealing. It’s not just that it was a sign of what the inside of the house looked like, we actually didn’t feel comfortable staring at the ugliness of it. Don’t put your website visitors in that position. Ugly designs are one of the biggest problems with website design. It’s easily correctable with pre-designed website themes that are sleek and elegant. There’s no reason to have an ugly website. If you don’t have an eye for design, find someone who does. The home page design should have some catchy graphics or even a video. If your visitors land on a home page with a bunch of text, they will get bored and leave fast. Include some movement and graphical elements to keep their attention and keep them around longer than the average 2.0 seconds that website visitors typically stay. Your home page design is vitally important. It can make or break the success of your website. Follow these principles of home page design and you should have more visitors entering through your front door.